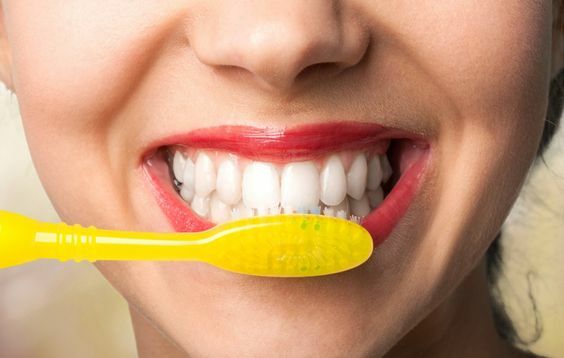 Brush 2 or even three times (occasionally after lunch) daily: best time to brush is 15 minutes after a meal. It is important to brush with a SOFT bristle brush. Anything harder than soft can actually damage and erode away your gums. Use a mouth rinse: Usually an antiseptic mouth rinse without alcohol is the best. Some brands still sell older versions of their mouthwash that have been known to include alcohol in their ingredient list, though in recent studies, it has been found to be directly related to oral cancer. So read those labels! 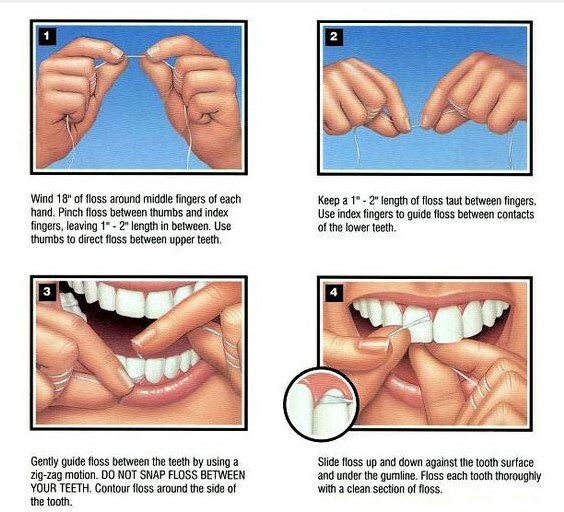 Floss like a boss: Aim for at least one flossing session daily. Most dentists suggest before brushing to dislodge any excess foods. Whether it’s waxed or not, whatever works for you is the best. They say without flossing you are missing 40% of the tooth, so remember to floss in your daily routine! Avoid Sugary things: Say so long to sugary foods. ESPECIALLY SUGARY DRINKS. Ever notice a sensitivity to something sweet! This could actually be an indicative sign that you have some cavities. Replace refined sugar with natural sugars found in fruits. Drink water: Like tones of it. Water helps prevent excessive acid buildup in your mouth and dry mouth, and aids in saliva production. WOW! So what’s my daily does? On average an adult should have about 8 cups of water a day. That’s 4 Litres or 1 gallon! Previous Post:How to Cure Bad Breath! Next Post:Fluoride… How does it Work and is it Safe?